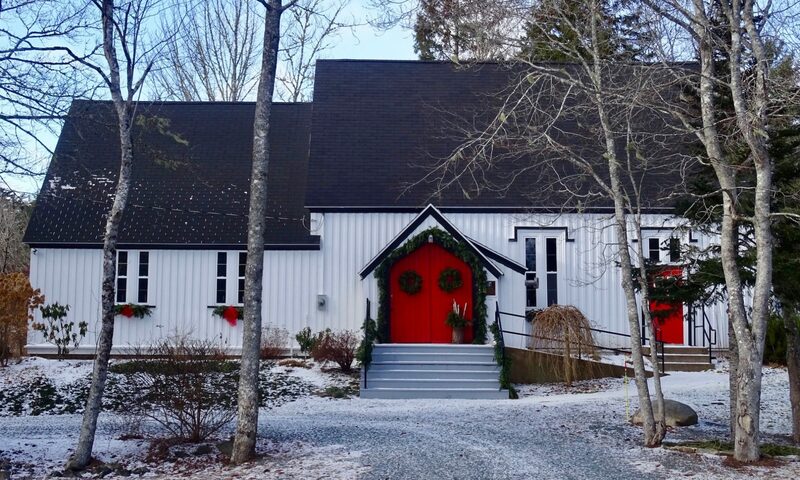 Saint Margaret’s, Oakfield is a small, welcoming, and inclusive Anglican Church in the Diocese of Nova Scotia/PEI. Steeped in history and nestled among the oak trees, our church provides a space for worship and fellowship, for contemplation, and for the renewal of spirit. 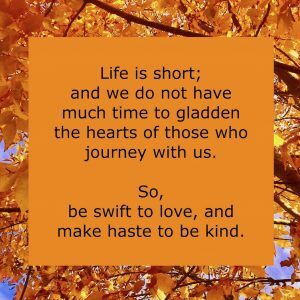 Saint Margaret’s services are at 9:00 on Sunday mornings. 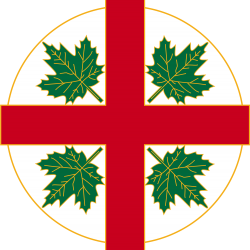 Saint Margaret’s Church was consecrated as an Anglican Church on May 25, 1968. But its presence as a place of worship in the community was established a hundred years earlier. In the 1860s, John Wimburn Laurie settled 800 acres of land on Shubenacadie Grand Lake and encompassing the much smaller Fish Lake. He built a chapel on the property to provide a space for non-denominational worship for those who lived and worked on Oakfield Estates. By the 1880s, the Laurie Farm consisted of the family home, a church, a manse, ten cottages, three barns, one stable, and 350 acres under cultivation. The church was built from lumber on the estate, and the graveyard is the resting place of 3 generations of Laurie family members. The stained glass window at the front of the church reflects this history — the words of the Creed, the Lord’s Prayer, and the 10 Commandments are surrounded by oak trees, and the window itself is dedicated to the memory of J.W. Laurie (1835-1912). Please check our Facebook Page for regular updates, special events, and information. When: Every other Monday night from September through June. Where: Held in the homes of various church members. Info: Prayer shawls and baby blankets are lovingly knit by members and friends of the church; they are blessed by the Rector, and then given to members of the broader community who are experiencing ill health or grief — or who just need to know they are enveloped in God’s love. You need not be an expert knitter to participate; there are lots of members who provide support and advice. After knitting, there is time for friendship, goodies and tea. Although we only have women knitting at the moment, men are always welcomed. When: Wednesday mornings, from the beginning of October to the end of June. Where: Bible study is held at our sister church — Saint Thomas, Fall River. What Time: It begins just after the 9:00 Wednesday morning worship service at St. Thomas. It gets started between 10:15 and 10:30. Info: People are invited to participate in an informal exploration of certain passages in the Bible, led by Reverend David Chapman. All are welcome — and you don’t have to attend the service first in order to join the discussion. Where: Inside St. Margaret’s Church. Info: Meditate and experience the beauty and tranquility of our lovely church with gentle yoga, led by Julia O’Connor. Our yoga group is comprised of both beginners and experienced yogis. New participants are always welcomed. Each week’s session is tailored to the needs of that week’s group, and is a wonderful, peaceful hour and a half. BYOMat. Cost: $5 donation to the church, for each class. Info: One Sunday a month, we include our young members in the various parts and activities of the church service. This inclusion not only helps them to grow in the church, but also answers questions other members have about the specifics of the service. When: From September through June on the 2nd and 4th Sundays of the month. What Time: after our Sunday morning church service. Info: Church members contribute edibles; and coffee and tea are made in the kitchen. This is a wonderful, casual time of treats, friendship and catching up with each other! 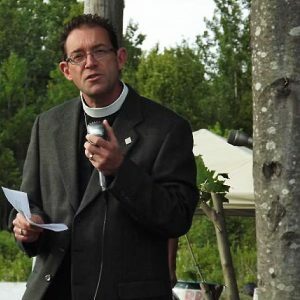 Our Rector, the Reverend Carl Fraser, joined the Parish of Fall River-Oakfield in 2014. He is passionate about the development of youth, the ministry of laughter — and finding new ways to build community, and to share faith and the love of Jesus. Click here, for his full bio. 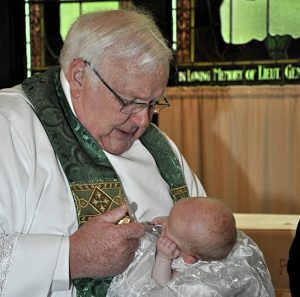 Our Associate Priest, the Reverend David Chapman, began his ministry in the Parish of Fall River-Oakfield in 2011. He is a music maker and a sense maker, who brings a rich historical context to his sermons and his weekly Bible studies at St. Thomas, Fall River.